Hey, you there. It’s Friday afternoon, you’re only pretending to work as you count down the minutes until you’re free for the weekend. 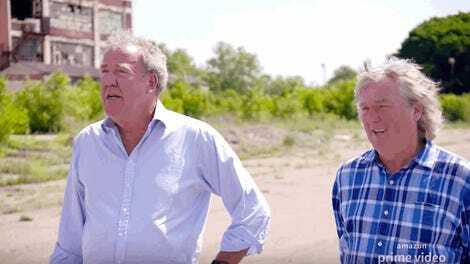 So come hang out with us on YouTube while we livestream The Grand Tour Game, a video game based off of, wouldn’t you know it, Amazon’s The Grand Tour. These are words lifted straight from a PR blurb that was emailed to us. We will go to the exotic locations, with the interesting cars. Maybe we’re going to New Jersey, with a 1997 Honda Civic DX. Only time can tell. We really haven’t played this game at all, so you’re sure to be seeing some truly hot takes and mystified and/or impressed first impressions. But we guess this week’s game will have something to do with this past episode, which was set in Detroit. Got anything to shout at us? Drop them into the rancid wasteland of the YouTube comments section and hopefully we’ll see them there.